The McKernan Events Center in Albuquerque, New Mexico’s South Valley played host to “Battle at 5 Points” boxing card weigh-in this afternoon. 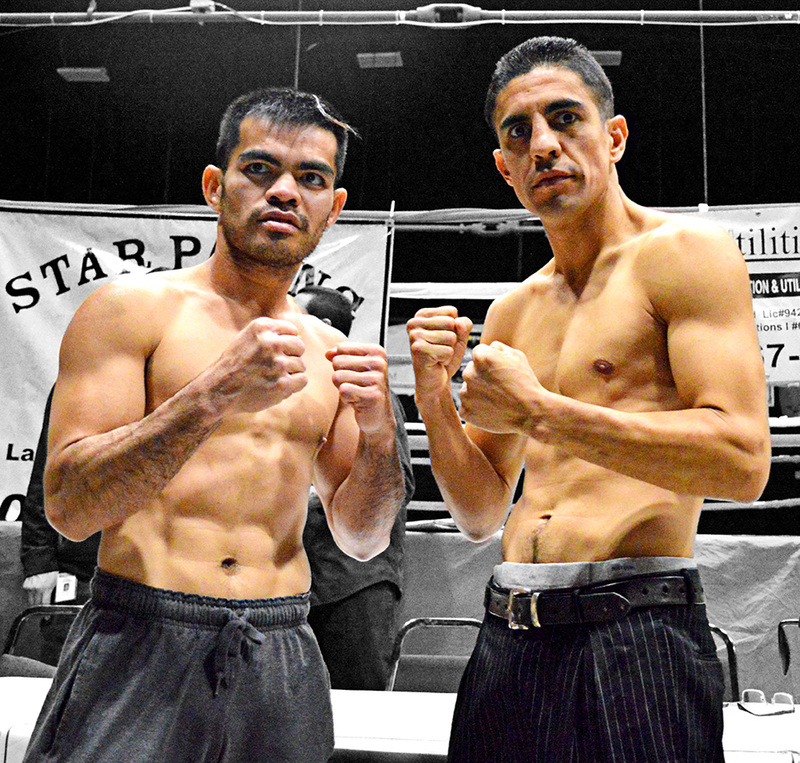 Two fights saw fighters miss the weight limits including the main event as Las Vegas, N.M.’s Arturo Crespin weighed in at 165lbs for his 162lbs +/-2 bout against undefeated Maurice Louishome who made the cut all the way down to 158.4lbs. Both co-main event participants came well within their weight limit of 140 +/- 2lbs. as Filipino-Australian Ranee Huinda Ganoy and Albuquerque’s Shawn Gallegos came in at 140.8 and 140.6 respectively. Ganoy comes into this fight riding a career high 10 fight wins streak while Gallegos looks to bounce back from quickly from a unanimous decision loss to Cristian Cabral in October. The fight card itself takes place at the McKernan Events Center in southwest Albuquerque. Tickets run between $30-$75 and can be purchased by clicking HERE. Note: The following were weights announced out loud at the weigh-in. When a request was issued of the New Mexico Athletic Commission to provide a copy of the weights following the weigh-in we noticed noticeable errors and therefore have made the decision to go by the weights announced out loud. Full Weigh-In Results: Arturo Crespin 165* vs. Maurice Louishome 158.4 Shawn Gallegos 140.6 vs. Ranee Huinda Ganoy 140.8 Jesus Alex Holguin 129.6 vs. Miguel Armendariz 137.4* Jose Osorio 120.8 vs. Augustine Venegas 121 Tony Hirsch 159.4 vs. Kelly Wright 154.2 *Fighter missed weight. No word on if the fighter will lose the excess weight or give up a portion of the purse. In Armendariz’s case, it’s likely he will give up a portion of his purse as he weighed in 7.4lbs over the allowed limit of 128 +/-2.